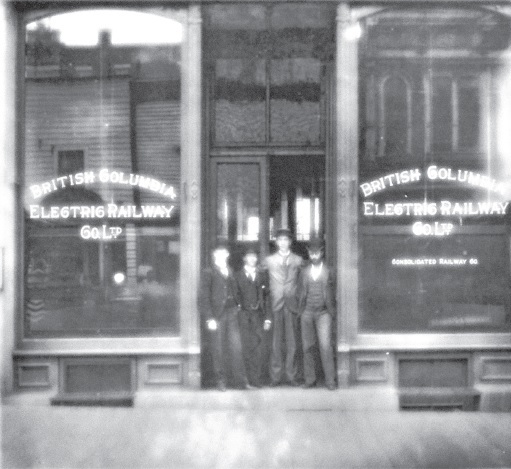 MoveUP began as a small social club at the British Columbia Electric Railway Company in the early 1900s. From its humble roots of a small band of workers gathering informally to plan dances and picnics grew the remarkable fellowship of passionate and committed membership that is now MoveUP. The small social club was first formed in 1913 but would become the more formal BC Electric Office Employees’ Association (OEA) in 1918. The OEA applied for and were granted union certification from the Labour Board in the 1940s. In 1955, the OEA would join the Office Employees International Union (OEIU), a United States-based union that was organizing office workers in British Columbia at the time. The Victoria-based OEA members would become Local 300 and the Vancouver-based OEA members would become Local 378. The Victoria local would merge into the larger Local 378 six years later. In 1964, Local 378 elected to rebrand themselves to better appeal to a broader range of workers changing its name to the Office and Technical Employees Union (OTEU). The next year, the international union added the word “professional” to their title becoming the Office and Professional Employees International Union (OPEIU). However, due to provincial legislation in B.C. at the time that prevented unions from having the word “professional” in their name, it was not until 1996 when that legislation was removed that Local 378 became OPEIU 378. In 2004, when all the Canadian locals of the OPEIU declared autonomy from the international union, the local adopted the title of the new autonomous national union, the Canadian Office and Professional Employees Union (COPE). In 2009, COPE 15 – which began as the first OPEIU international local in Canada – merged with COPE 378. On November 9, 2015, in order to better align with the local’s purpose and evolving perceptions of its members – and to reflect the values of professionalism, progress and progress that all its members hold – COPE 378 rebranded as MoveUP, the Movement of United Professionals.